Never being one to turn down the prospect of quality French cuisine, when my sister suggested Atmosphere Bistro for lunch, I quickly agreed. With a late lunch reservation booked on Open Table, we navigated the traffic of Piedmont to arrive at a mostly empty restaurant. Right from the start, service was excellent as we were promptly shown to a table and explained the lunch specials. Almost immediately, the classic struggle of French cuisine began; should I dive in headfirst with the escargot or should this be the time I go to a French bistro and branch out, maybe try something different? 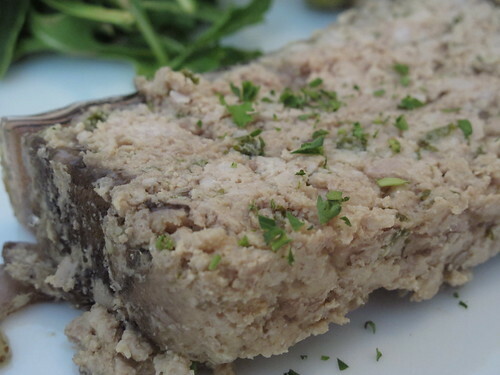 This time, I opted for the later and placed my order for a serving of the rabbit terrine. 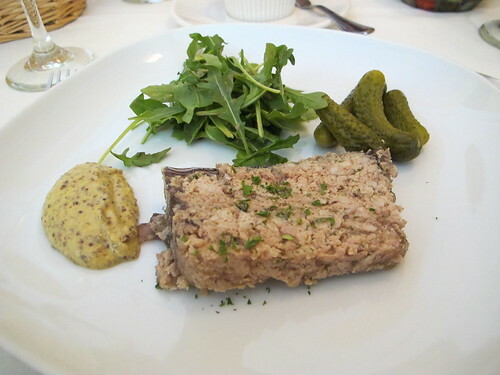 A handful of cornichons, a spoonful of mustard, a small salad, and a large slice of housemade terrine, it was a balanced and picturesque as it could be. Sadly, the taste and texture did not live up to the appearance. 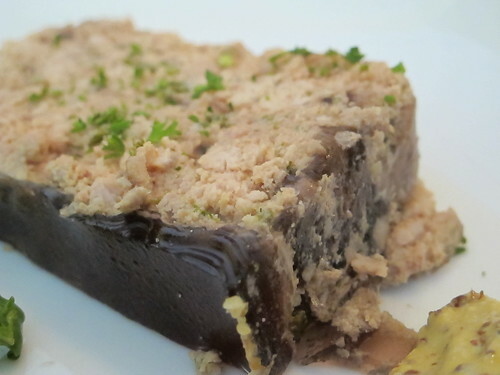 While well portioned and full flavored, this was a terrine of crumbly, dry, and chalky meat. 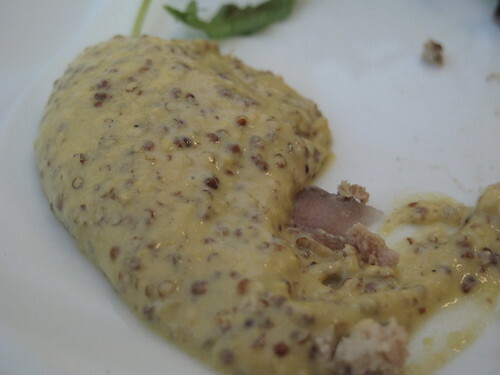 The terrine may have been a letdown but the house mustard was fiery, clean, and pungent. 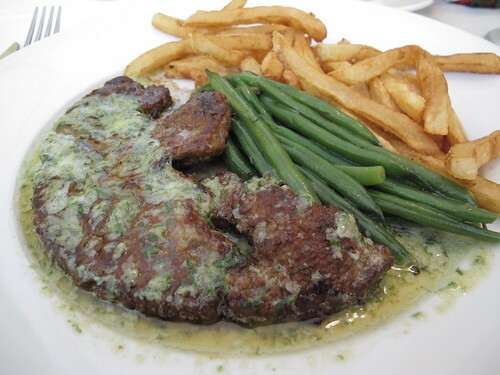 Hoping for better luck with the entrée, I took our waiter’s suggestion and ordered the calf liver. Unfortunately, it was another case of overcooked meat. 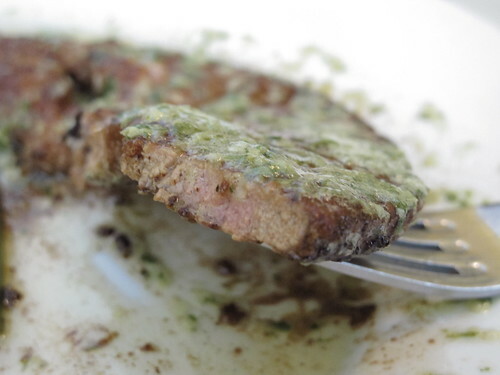 Even though this liver was a ample portion of chalky, dry meat, the sheer richness of the herb butter made it fairly passable. 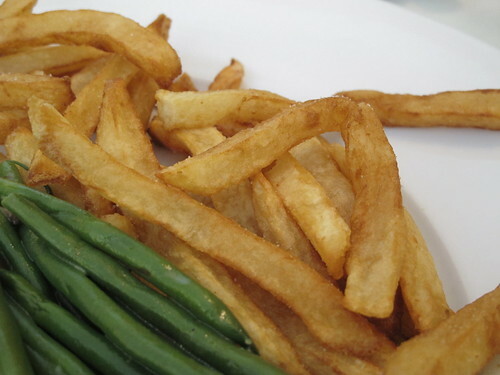 The haricot vert were crisp and well cooked. 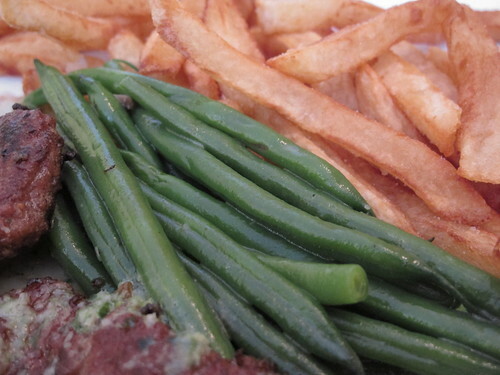 The fries were a bit of a disappointment with a limp texture, but they were very well salted. Maybe I should have stuck to the clichéd but delicious escargot, but despite all those setbacks, I’m not ready to write off Atmosphere. 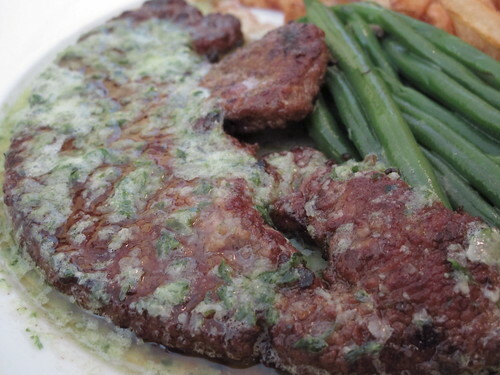 The service was too good, the flavors too tempting and Jennifer was far too happy with her food for me to do that. That being said, the next time I pay a visit to Atmosphere, I’ll stick to the clichéd classics and stay away from anything liver related.